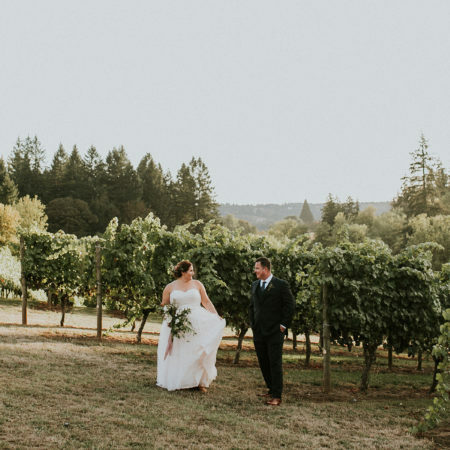 I hate to admit this, but I think if we’re all honest with ourselves, after all the pressure is over from finding the right engagement ring, we tend to forget about the other ring! Lord knows I basically did, again if I’m being honest. Eventually we realized our shortcoming and headed into a store to figure out exactly what kind of men’s rings my husband wanted! What ensued was an exercise in forcing a non-shopper, to shop! Interestingly enough, selection was a bit of a problem. I’m not sure why, but men tend to get short changed at times when it comes to matters of fashion and a range of choices. 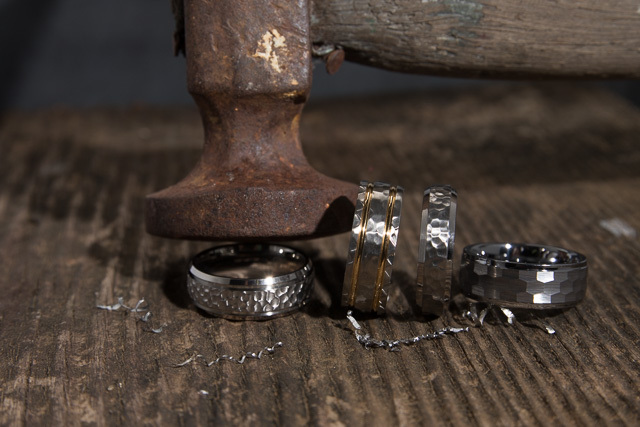 For the longest time I feel like men’s wedding rings have suffered the same fate. Thankfully with the rise of online shopping came exposure to a world of styles. 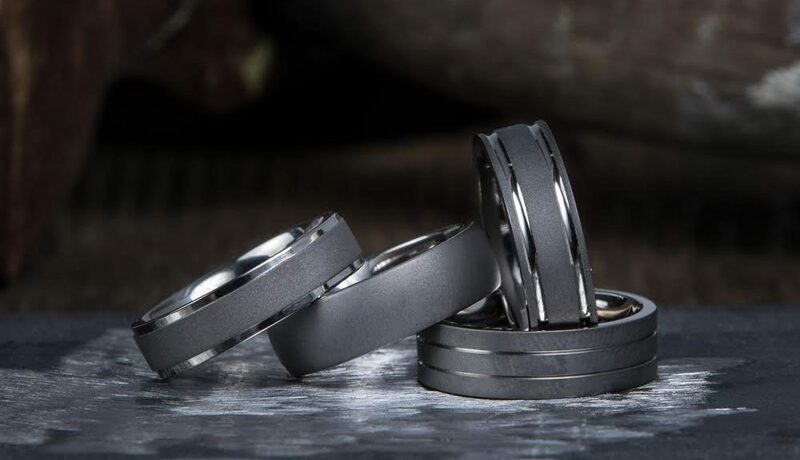 Men’s Rings Online is one of those online treasures that really makes the effort to curate a collection that appeals to every male style you could imagine. Working with a mix of materials like titanium, wood and even carbon, it’s a men’s ring oasis in a sea of bland online choices. 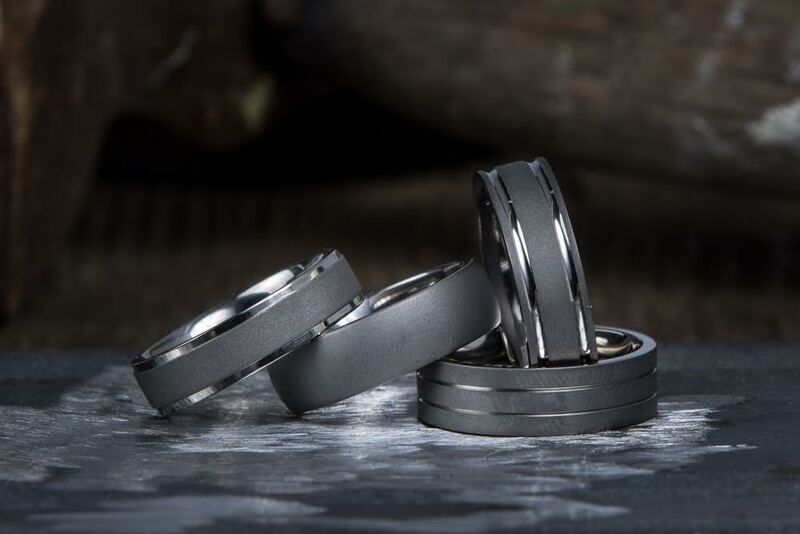 Men’s titanium wedding rings are a main stay, a classic that has every right to stay for all time. 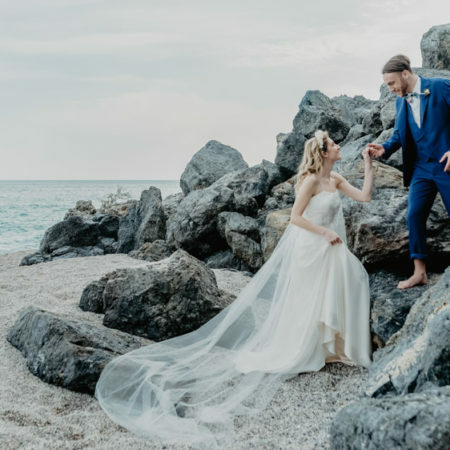 Thankfully Men’s Rings Online has done a dreamy job of sourcing a mix of styles that are anything but boring and pedestrian. 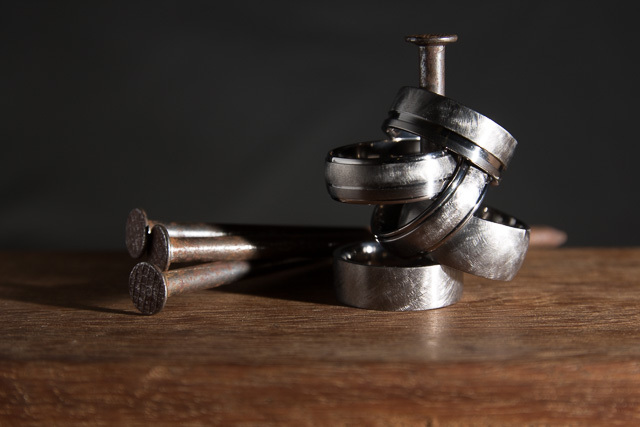 What I love about their collection of metal men’s rings is the mix of materials, finished polishes and everything in between. From polished traditional to uniquely cool hammered finish or my personal favorite matte, the bigger questions is how to pick just one! 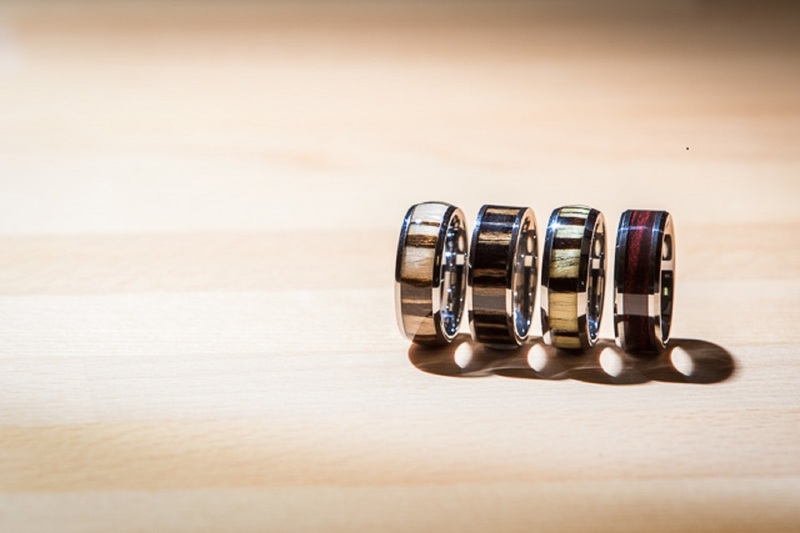 If the idea of men’s wooden rings sounds just perfect, direct your eyes to their natural collection featuring just that, pure wood selected from the most beautiful grains and hues perfectly polished. Love the natural idea but feel like you need a bit of metal all the same? Don’t miss their Koa Wood Collection featuring a blend of both worlds, or our personal favorite, the Inner Circle, a metal band finished with a stunning wooden inner layer. Selection isn’t the only good thing about Men’s Rings Online, free shipping (a good shopping experience must!) and easy returns make the whole experience total perfection. 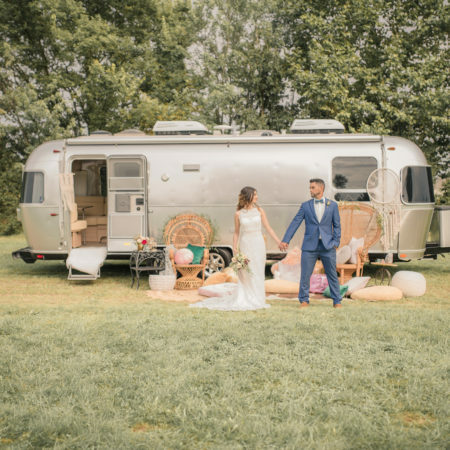 Just because we let this one lag on our wedding to do list doesn’t mean the perfect ring isn’t just a click away!